UPDATE 8:15 PM 8.13.16 - Sorry folks... taking another Sunday off. I have multiple family members flooded out in Louisiana and it's been a very stressful day! I have extended the linkup so PLEASE ADD ANOTHER LINK! Welcome lampwrok bead fans (misspelling intentional). 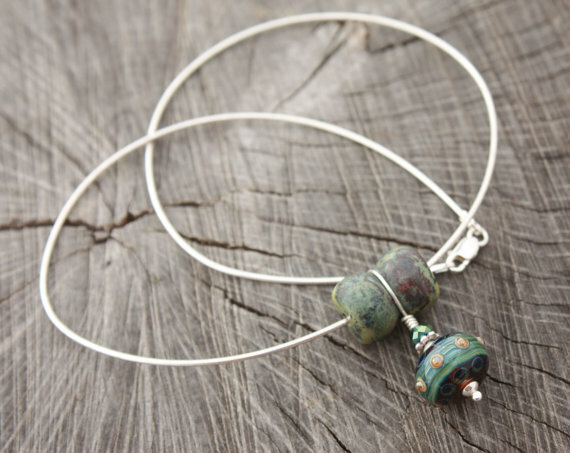 Today's feature is a fascinating glass bead pendant wrapped with sterling silver, Bali beads and crystals. It was created by Stephanie of Phishstuff.